A nice thank you card from Queen Paola (80th birthday). She is surrounded by her family, children, and grandchildren and great-grandaughter ... but can you spot who is missing from the photo? 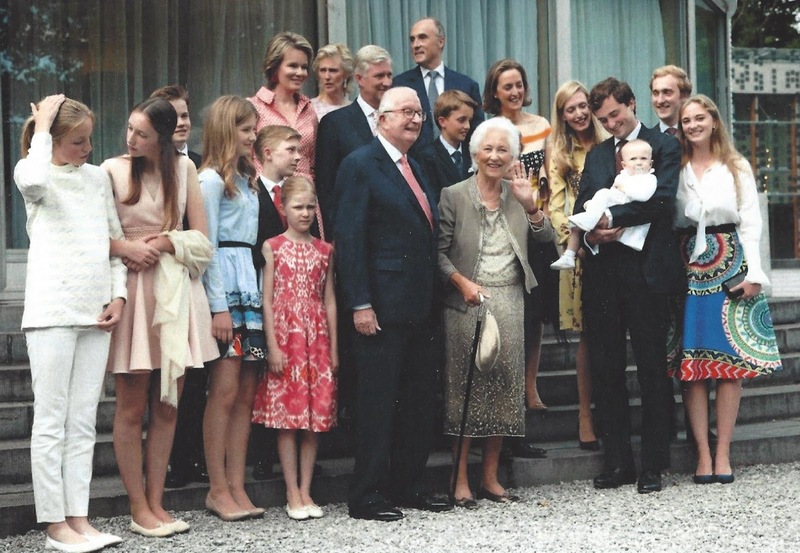 Yes, it is Prince Laurent, Queen Paola and King Albert's youngest child, but his wife, Princess Claire and their children did take part in the photo session. Princess Maria Luisa of Belgium is also not in the photo. Where is Prince Laurent and family. He is so quiet nowadays ! Marlene, it looks like Maria Laura, Astrid's eldest daughter, is also absent. And I think the second twin is there - you can just see his shoes on the first step behind Queen Paola! Prince Laurent's wife and three kids are in the photo. Laurent is largely persona non grata these days due to his actions, comments, and behavior. 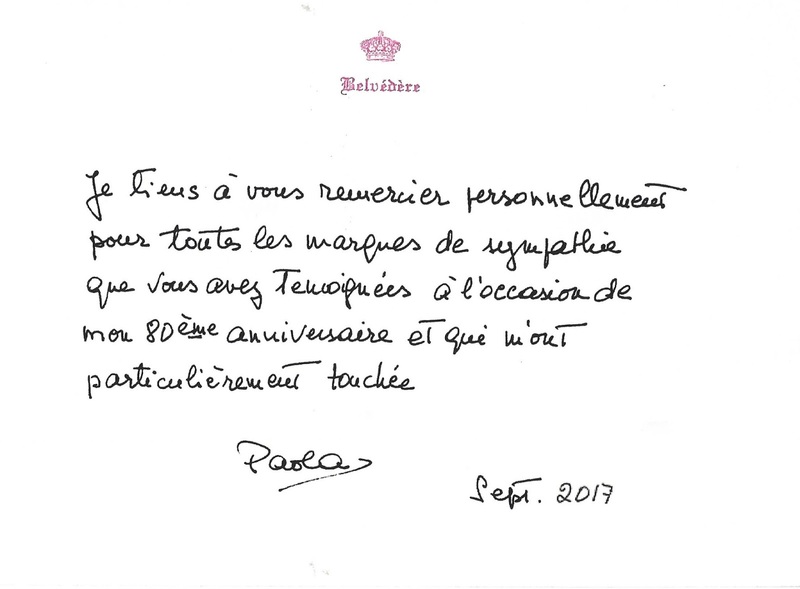 are they known to have much to do with the princely Ruffo di Calabria family, Queen Paola's relatives? Particularly her nephew Prince Fulco IX? Prince Laurent was at that event. But he arrived late, so he wasn't able to make the family photo.